Commissioner Vicki Been, head of the city’s Department of Housing Preservation and Development (HPD), is planning to return to teaching at NYU Law School, Gotham Gazette has learned. 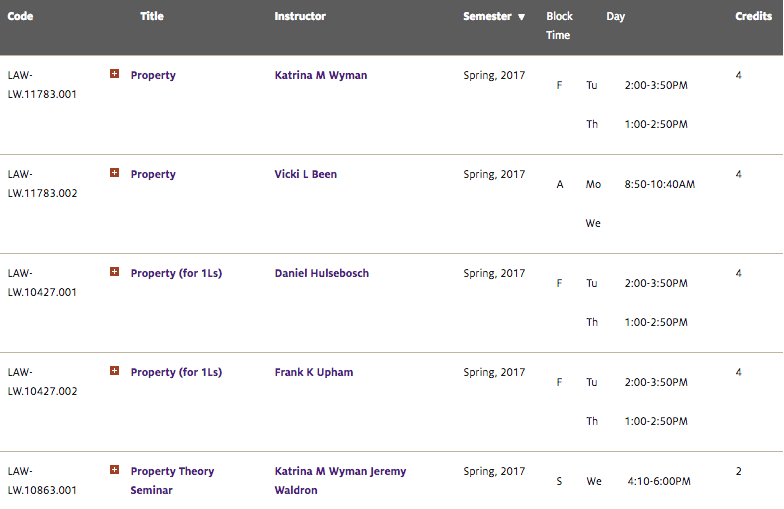 According to the school’s course offerings, Been will be teaching a Spring semester property law course on Monday and Wednesday mornings, 8:50-10:40 a.m., beginning in January. According to an HPD spokesperson, Been is not leaving the administration. The spokesperson, Melissa Grace, said that Been had no comment on these plans and pointed out that many people in government also teach. Been has been on academic leave from NYU School of Law and, according to Grace of HPD, the property course is one she has taught many times over a 25 year span. Grace did not comment in response to the point that government employees who teach courses usually do so at night, not during the typical workday, nor in response to the notion that there don’t appear to be any other city agency commissioners or deputy mayors who teach courses. A spokesperson for the mayor also declined to comment on the nature of Been’s upcoming schedule, but did also confirm from City Hall that Been does not intend to leave the administration. Appointed by Mayor Bill de Blasio to lead HPD in February of 2014, Been has been one of the chief architects of the mayor’s affordable housing plan, a top de Blasio priority. 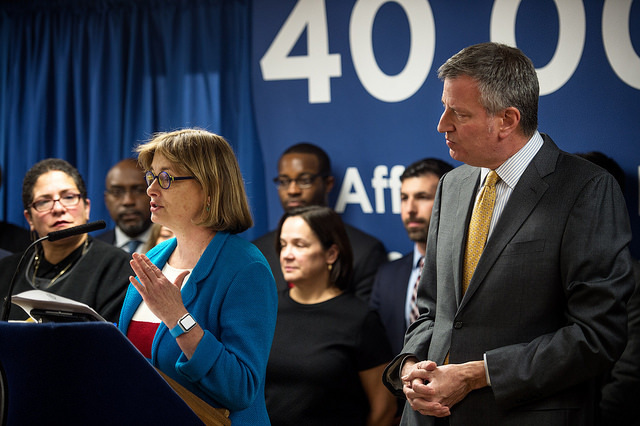 Along with Deputy Mayor Alicia Glen and City Planning Chief Carl Weisbrod, Been has been spearheading the effort to build or preserve 200,000 units of affordable housing over 10 years. That plan is off to a solid start, with, according to the administration, “52,936 affordable homes financed” through fiscal year 2016, which ended June 30. As the mayor moves further toward completion of his third year in office, he has seen several top officials depart his administration, including de Blasio’s counsel, Maya Wiley. NYPD Commissioner Bill Bratton announced his retirement earlier this summer and will depart mid-September. Additional prior departures have included the mayor’s press secretary, other agency commissioners, and one deputy mayor. While the mayor has had an up-and-down term and his administration and campaign fundraising practices are the sources of several law enforcement investigations, there is also normally upper-level staff turnover as an administration moves through a mayoral term. Neither de Blasio nor any of his staff or allies have been charged with a crime, and de Blasio has maintained that he and his associates have acted ethically and will be vindicated once the investigations are completed. Been is a self-described policy wonk and widely praised by colleagues and other government officials, including City Council members. She has given no public indication of plans to leave the administration. While sweeping new norms for city land use and housing development were passed into law last month, the debate over how to best achieve affordable housing continues. The larger affordable housing picture was the subject of a Wednesday event hosted by Stroock & Stroock & Lavan LLP, where Vicki Been, commissioner of the Department of Housing Preservation and Development (HPD), and Bronx Borough President Ruben Diaz Jr. were among the guest speakers who presented their views on city housing policy. Diaz Jr. has been a vocal and frequent critic of the de Blasio administration, including its housing plans, which he again questioned at Wednesday’s event, entitled “Will NYC Ever See Affordable Housing?” Been, seated next to the borough president, explained and defended the policies that she has helped craft, even challenging the framing of the event. Since the passage of Mandatory Inclusionary Housing (MIH) and Zoning for Quality and Affordability (ZQA), two significant changes to the city’s zoning code aimed at spurring more affordable housing development, much of the attention has turned to East New York, the first area that will be rezoned under the new MIH and ZQA rules. In essence, the city is allowing and promoting greater density - more development, taller buildings - while requiring certain percentages of new units to be kept under affordability guidelines. Diaz Jr. has been critical of MIH and ZQA, both as a matter of policy and process. While continuing his critique Wednesday, he also acknowledged that the changes have already been made and that there is a new normal at play in terms of the way the city deals with zoning. Still, Diaz Jr. liked the old rules, whereby each land or neighborhood rezoning was subject to individual negotiations with fewer predetermined choices and rules. The panel event, hosted by former New York Attorney General and Stroock partner Robert Abrams and his public affairs group, included Diaz Jr. and Been, as well as a real estate developer and a new Stroock attorney recently departed from Attorney General Eric Schneiderman’s office. Been was warmly welcomed by her hosts, who she has worked with over decades. To achieve affordable housing in every neighborhood in the city, and to ensure that, when growth is taking place, it promotes economic diversity, Been said, certain instruments like MIH had to be put in place. To go beyond the city’s affordable housing demand to meet the needs of particular groups like seniors, and the range of different types of housing that they need, ZQA was adopted to revamp the city’s out-of-date 1961 zoning ordinance. Diaz Jr. has said before that the one-size-fits-all approach of city-wide land use rules reduces the flexibility with which communities and stakeholders rezone, and diminishes the capacity to take his favored neighborhood-by-neighborhood approach to rezoning. The ability to vary the affordability requirements at the most local level, he argued again at Wednesday’s event, has been proven to be effective when dealing with the complex realities of neighborhood housing and development needs. Using his own borough as an example, Diaz Jr. said at the panel, “what I’m getting at is, in the Bronx it is complex. And with the new zoning changes...you’re handcuffing the communities and stakeholders from having that leverage and that ability to negotiate” with developers who have a part to play in the creation of affordable housing. The panel touched on how developers will be able to work with the city to create affordable housing, the prospects of achieving the affordable housing goals set by the mayor, and what can be done in the absence of the property tax exemption known as 421-a, which expired in January and is seen by many as essential to affordable housing development. In addition to Been and Diaz Jr., the panel included Ron Moelis, the CEO of L+M Development Partners Inc., which develops affordable, mixed-income, and market-rate housing; and Erica F. Buckley, who recently left Schneiderman’s office to join Stroock as an expert on real estate and government relations. In the question and answer section following the panel discussion, Buckley noted that the Article II to XI Conversion Program could serve as a useful tool for preserving affordable housing options in the absence of 421-a, by allowing Mitchell-Lama developments to be converted to HDFC low-income cooperatives, rather than exiting an affordable housing program outright. When pressed on the issue, however, Buckley conceded that in her experience at the Attorney General’s office no projects had been initiated through Article II to XI Conversion.